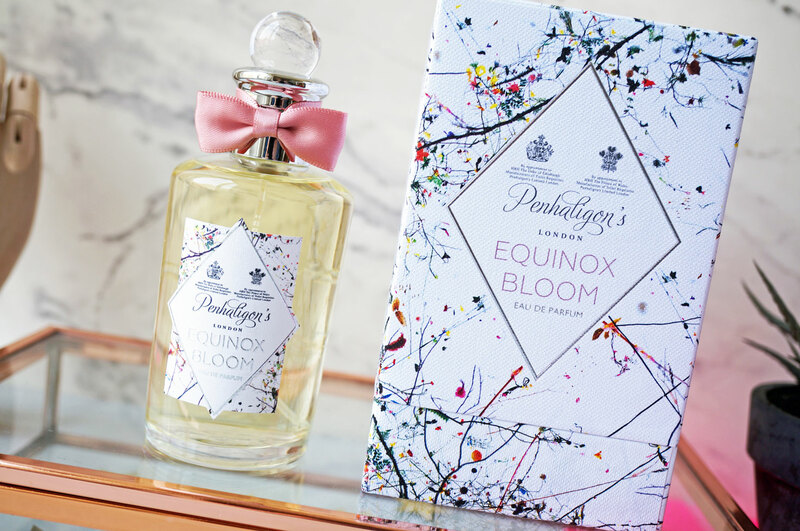 Equinox Bloom is Penhaligon’s first ever gourmand fragrance – which basically means it has edible or dessert-like qualities, as well as synthetic notes designed to resemble food flavours. 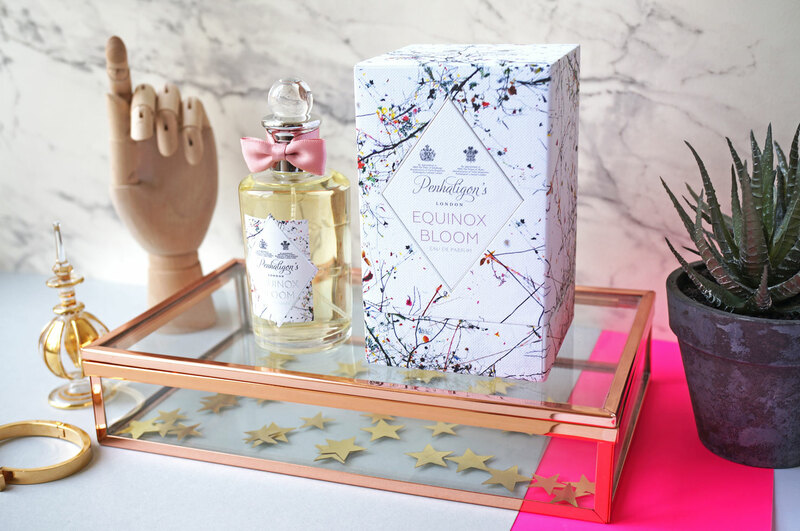 Equinox Bloom was inspired by the quintessentially English tradition of afternoon tea – I pretty much live on tea so this really does tick all the boxes for me. It’s floral yet not in a traditional sense, and it’s definitely a transient scent on me, one moment feeling warm, then cool, with a constant and distinct edible creaminess that I love. Created by Master Perfumer Olivier Cresp, Equinox Bloom plays with an olfactory palette inspired by the delights of high tea, accompanied by the heady bouquet of the first sweet Spring flowers. Delicious notes of Chantilly, Frangipani and Brown Sugar are blended with violet leaves, orange blossom absolute and jasmine sambac, rounded with the deep, Oriental richness of Benzoin Siam and Ambrox. The packaging is so very English, quaint, pretty and almost twee – I love it! The bottle is very classic, with a dainty pink bow and a delicate yet colourful print adding a modern touch. Top Notes: Chantilly, Frangipani and Brown Sugar. Heart Notes: Violet Leaves, Orange Blossom Absolute and Jasmine Sambac. Base Notes: Benzoin Siam and Ambrox. Equinox Bloom EDP is £93.00 for 50ml and available now at Selfridges.